Greg Rose, MD, PhD, is CEO of Rays, a teleradiology company based in Littleton, Colorado. Radiology Today(RT): As CEO of a teleradiology company, you hire radiologists. What are you looking for in a candidate today? Greg Rose, MD (GR): The number one quality of any person I seek to hire at Rays is integrity. This is absolute and nonnegotiable. After that come skill, experience, training, work ethic, a teamwork mentality, and interest in bettering radiology. RT: Besides integrity, which any employer would want in its candidates, are the qualities—or, perhaps the priority you place on them—different than what you'd look for when hiring for a traditional private practice or an academic practice? GR: A teleradiologist does operate in a different environment than an on-site radiologist, so it makes sense that they might need a different skill set. However, I would think most on-site radiology groups would start with the same qualitative requirements as listed above. For on-site radiologists, good face-to-face interactions are crucial and those skills are a more important part of the required skill set. In most situations, on-site radiologists are the custodians of the practice, so additional qualities such as leadership, communication, and active interest in hospital dynamics are critical. RT: Is teleradiology a good first job for a radiologist? GR: To truly understand and be sensitive to the challenges of the hospital, I believe a radiologist should usually experience the rigors of an on-site radiologist for at least one year before separating from the day-to-day close interactions with the clinicians, other radiologists, administrators, technologists, and patients. Although moonlighting as a resident or fellow offers radiologists a chance to be somewhat on their own, most do not achieve the same high level of experience and accountability as they would after working in the on-site environment after training. The additional communication and interaction required when working on site is valuable. In my view, it would be hard to expect the same level of performance from a radiologist who never served as an on-site radiologist other than during training. Since I run a teleradiology company, it might seem odd that I generally don't think teleradiology is a best first job—even though we have hired a few stellar ones right out of residency and fellowship. In general, I've had better results with the service and performance of seasoned pros who've worked as on-site rads in small and big practices, where they tend to hold each other highly accountable. These radiologists think like on-site rads, so it's no surprise they communicate like them, too, when working as teleradiologists. RT: Is that simply a function of experience, or do you think there's a specific kind of experience that is helpful to bring to teleradiology? GR: Out of our fellowships, another radiologist and I were honored with a partner-track position in a seven-man rural Texas practice where everyone did everything, plus had some specialty. We also took our own call. At that time, I had no idea of the long-term value that first job would provide. It's an interesting phenomenon that we sometimes learn long after events happen. Daily, it was common for me to read a mammogram, then do a CT-guided biopsy, next get chewed out about a hedgy dictation, followed by an ICU chest, and then place a Groshong catheter. Along the way, I'd hear a complaint about CT protocols, calm a patient, read an MR shoulder, get schooled by a hospital administrator, and do a wire localization. You get the picture. By the way, I didn't do all this perfectly. I suppose I should have been an expert at everything coming out of fellowship, but this practice seemed to find all the holes. It was always crazy busy with a daily vertical learning curve. This was an excellent first radiology experience. Finally, there was the patient mix. Apparently you don't have to speak Latin to have an interesting Latin name for your disease in rural Texas. Our practice pulled from a large area and amazing four-plus complicated disease made its way to our view boxes every day; there was no PACS then. RT: Building your skills in the day-to-day tasks of radiology care makes sense, but there's more than technical knowledge and skill to being a good doctor. What else should new radiologist think about in terms of their career? And how does that fit into a first job? GR: In addition to the full variety of radiology procedure exposure, the partners in that first practice went above and beyond the call of duty in their patience with my practice immaturity and inexperience. They dispassionately saved me countless times. During monthly meetings they would discuss the business of radiology and generously share their logic as they made decisions. When they asked for our opinions at the partner meetings, I think they were mostly trying to get us to think like partners, realizing that someday we would run the practice. Their patient, Socratic method was priceless and they got no RVUs (relative value units) for it, just our meager respect and appreciation. It also didn't hurt that they were honest, regular Joes with nothing to prove, just a desire to improve the practice. RT: It would seem that starting as a teleradiologist might foster direct communication habits—or a lack of them—that might not help a young radiologist. GR: According to the late author and businessman Stephen R. Covey, communication is about 10% words spoken, 30% tone of voice, and 60% body language. A first position as an on-site radiologist allows the radiologist to nurture all three. Once offsite, the teleradiologist is now limited to a total of 40% of the communication tools. If the teleradiologist has not taken the opportunity to simultaneously grow all three while first on site, then it could be especially difficult to effectively transfer as much of the value as possible of the body language into the remaining two tools. Obviously there is no perfect substitute for on-site body language, but the teleradiologist must optimize the other aspects using the words spoken, tone of voice, and the reports. RT: You see it on radiology discussion boards, but how real do you think teleradiology as a first job experience hinders a young radiologist in future jobs? GR: We're all working in a bit of a data-free zone on this question, but a few of the comments seem valid. I don't have concrete data. On a practical level, at most national teleradiology companies, one gets credentialed and licensed (C&L) in many places. Depending on the bylaws of a particular facility, this could substantially extend the C&L process at an on-site facility if they insist on full primary source verifications. Fortunately, the Centers for Medicare & Medicaid Services approved proxy credentialing for Joint Commission-accredited facilities, which moderately hastens this process. Philosophically, I would suggest rad groups may share my same apprehension regarding a teleradiologist who "never really worked as an on-site radiologist" outside of residency, fellowship, or moonlighting. I stress that we've had a few teleradiologists at our company who came straight out of residency or fellowship into teleradiology and did quite well, but I maintain that a year of general on-site radiology can bring great value. The final concern can be that a radiologist who has been working entirely from his computer for years has probably gotten rusty on procedures and perhaps life in the hospital environment. That's a fair assessment, but not to say a conscientious radiologist can't get up to speed quickly. 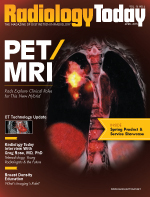 RT: To what extent is teleradiology where radiology is headed? How close do you think today's environment reflects the balance between on-site radiology groups and some kind of teleradiology arrangement? GR: Within the medical community, there remains the wide response from broad acceptance to total rejection of teleradiology. Some wish it had been available much sooner in our history and used more prevalently; others feel teleradiology should be immediately and completed eliminated. This poses a challenge as we craft an aligned future including radiology and teleradiology. Maybe we don't have to be fully aligned everywhere. My humble experience and research suggest there will be an overall growing fraction of work migrating from on-site radiologists to subspecialist teleradiologists. As to what fraction of total work will eventually be performed by teleradiologists, I don't know. If on-site groups are progressively leaned down through a variety of external forces, this fraction might approach 30% to 50% in some areas. Many are already 100% teleradiology and I'm sure there will be areas that will remain 0%. RT: When you started, the expectation was that most radiologists would join a small to medium-size private practice. That has changed some, with teleradiology, hybrid groups, and more employee arrangements. How does that change things for young radiologists? GR: With what anecdotally appears to be a smaller fraction of graduating radiologists interested in radiology leadership positions, I think a first job in private practice as I described could give a new radiologist an opportunity to experience, and suffer, most of the issues associated with the different areas of radiology. The experience would serve them well if they choose to set sail for a radiology leadership career. Such a job would at least minimally legitimize their right to say, "I was there." Even if they're not leaders, the experience might also give young radiologists a sense of compassion for the struggles and frustrations felt by their partners. It would help make them a more compassionate team member. I believe one critical place for general radiologists in the future will be leadership. Some of this is complicated by the uncertain future of radiology and medicine. From my chair in front of the view box years ago, radiology's problems seemed simple, and it was confusing to me why they weren't solved overnight using common sense. In that nonleadership position without an understanding of the complexity of the politics, I used to enjoy the luxury of that pinhole view. After running a teleradiology company for almost 10 years, I know the problems are more difficult to solve, partly due to conflicting forces inside and outside of radiology. But that is a larger but important issue outside the scope of this discussion. While we must, in many ways, wait and see what happens, I believe we must also do whatever we can to actively drive what happens next with whatever talents each of us possess. Whether it's power, persuasion skills, or simply day-to-day good radiology service, I'd like to think the future of radiology will be at least partly shaped by us radiologists, rather than solely the dictates of others. RT: What kind of changes do you see in young radiologists from, say, 20 years ago? GR: I started residency just before that so I've had a chance see the changes, which seem to fall into two categories. First, there are the traditional differences we see between Generation X (Gen X) and Generation Y (Gen Y) people. The other category is radiology-specific differences. Google "Gen X vs Gen Y in the workplace" and you will find articles to read for years. I think these two groups of radiologists are reasonably characterized by the collective writings on Gen X and Y, although there are the occasional dramatic outliers. Here are some of the differences I see in the Gen Y radiologists compared with the other generations. I see a significant, but reduced, focus on salary level. Most seem to get it that the astronomical salaries of the 1980s and 1990s are likely gone forever. They also want to get home at a reasonable hour and they openly voice the importance of their family interactions. When applying for positions, they are interested in understanding how the rads interact with each other and, once they get here, the new group members try to connect with their new colleagues. With the exception of the occasional viral spreading of something inaccurate, this is a good thing. While most have not voiced a major interest in running the business, they still want to understand it and they generate a regular flow of novel suggestions. It might be dismissive to categorically characterize this generation as lacking a work ethic, but I'll say it is quite different than mine as a Baby Boomer, though not worse or better. Gen Y radiologists tend to focus on results and regular hours. My Baby Boomer generation focuses on time put in and staying late. It was common for my generation to characterize a coworker as "good or dedicated" using stories of how he preferentially dismissed his family in deference to work. Gen Y professionals do not tell these stories. These younger generations are excited about the technology, especially if it increases real-time flow of knowledge. They're interested in upping their skills and take CME [continuing medical education] seriously. They are addicts for feedback. No one likes negative feedback, but they appreciate hearing dispassionate balanced feedback as often as possible. For the most part they accept this feedback and want to do better and grow. They appreciate follow-up feedback that recognizes their growth after initial feedback. They like feedback to be interactive rather than unidirectional. When I started Rays, we decided on a model that combined the best of employment and partnership with an official label as "employment." As recently as 2005 when I started this company, it was a struggle to attract such "employed" rads. Nearly every interview included questions about partnership, stock, and voting rights from Baby Boomers and Gen X candidates. Conversely, in general, Gen Y candidates rarely ask these questions and it seems most just want us old guys to manage all the business stuff so they can just be employed. They want to read cases and not worry about the usual responsibilities of partnership. Obviously, this mildly concerns me for the future of radiology. Will today's new radiologists want to lead radiology groups or teleradiology companies? We'll see how they migrate to leadership positions over time. RT: Is that good or bad for the specialty? GR: This would be bad for radiology. Radiology leadership will be as important in the future as it is now. I am noting a relatively reduced interest in leadership, and all the inconveniences it carries, in the youngest radiologists. I stress that there are important exceptions, but the overall fraction interested in leadership seems to have reduced. As groups continue to merge, there will be a greater need for those with vision and strategy skills to keep the team together and focused. RT: If radiologists don't want to lead radiology, someone will. That should concern radiologists. Moving in a different direction, radiology has become an increasingly specialized specialty in an increasingly specialized world. How will that affect radiology services and the work world of radiologists with most of their careers in front of them? GR: A good one-size-fits-all radiology solution doesn't seem to exist. I predict continued merging of radiology groups and resources, without saying whether that is a good thing or a bad one. Paralleling this shift, hospital systems will likely develop enterprise solutions that lean toward employment or mixed employment/partnership models. These solutions will likely capitalize on the growing expectation of live subspecialty reads leveraged through teleradiology. Over time I predict this will result in converting some fraction of on-site radiology positions to offsite subspecialist teleradiology positions, allowing those rads to cover more territory and therefore reduce the numerical on-site presence to "a minimum" of procedural radiologists, a smaller number of on-site specialists, and perhaps a general radiologist as the local chief. Among other things, this may generate cost savings for hospitals. Among the five major groups of radiologists—generalists, interventional radiologists (IRs), mammographers, subspecialists, and nuclear medicine radiologists—I predict the overall number of mammographers and nuclear medicine radiologists will not substantially change. The number of IRs may minimally reduce as various procedures migrate from interventional radiology to other specialties and hospitals replace some IRs with midlevels. I believe there will be a moderate decrease in rural generalists with a commensurate rise in subspecialized teleradiologists. These are not statements of approval or disapproval, just my predictions. RT: Given the change you're seeing and predicting, how would you advise a young radiologist just finishing his or her training? GR: Perhaps it's the result of the benefit of hindsight, but If I were 25 years younger and just now starting my career after fellowship, I would still take the same first job again: a general radiologist who does everything. This path gives the aspiring radiologist a chance to experience all areas of radiology at a higher level of accountability than in training. Simultaneously, it lets a young radiologists experience the practice, political, hospital, financial, technical, operational, and teamwork challenges associated issues with each area of radiology. This also allows them to hone their skills working with the radiology and hospital staff. The new radiologists can actually see colleagues' responses to their approach (if paying attention) and potentially learn from those exchanges.